Based in Uddingston, Glasgow, Drone Scotland has excellent access to the M74, M8, M73 and M77. We offer a competitively priced aerial photography and film solution compared to traditional methods. In addition, we are able to operate closer to the operation thus enabling you to get the right shot for your individual requirements. Our drones use considerably less airspace than helicopters and other manned equipment meaning we can get above, around and in-between to secure the perfect shot. We are UAQ qualified and hold a valid Permission for Commercial Operation in accordance with standards set out and managed by the CAA (Civil Aviation Authority). Both are a legal requirement for conducting commercial aerial work within the UK. Drone Scotland is fully insured and carries £1 million public liability insurance. In other words peace of mind for you and peace of mind for us. Our company operates to a very specific operations policy. Our customers can be confident that, when they choose Drone Scotland, they will be choosing a company that promotes professional conduct and always puts safety at the forefront. The majority of our work occurs in the planning and post filming procedures. Even a 15 second movie requires at least 1 hour preparation. This includes conducting a flight assessment and site assessment. Should the need arise, we will liaise with Air Traffic Control, the Police and other bodies to ensure your project runs smoothly. 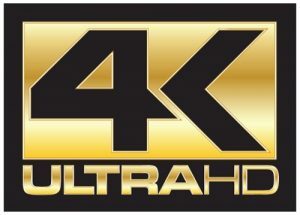 Our advanced equipment is able to record in full 4K and take Ultra High Definition Images. We can fly for around 23 minutes before we have to complete a battery swap. Our drones have a range of lens filters which help ensure we can get the right image irrespective of clouds and strong sunshine. We can use a number of manoeuvres including waypoints, active track, orbital, 3D imagery, mapping, modelling, crop analysis and more. The carbon footprint of our drones is very low and, compared with industrial drones, we are very discreet. Drone Scotland’s licence allows us to fly up to a height of 400ft which is more than high enough for most operations (manned aircraft are not permitted below 500ft). We can live stream events over facebook and youtube and our ground station delivers a live feed of both the drone status and the image we are shooting. For action shots, our fastest drones can fly in excess of 40mph. where do we cover? As we are based in Uddingston, our Drone services primarily cover the local area including Hamilton, Motherwell, East Kilbride, Glasgow, Falkirk, Coatbridge and Renfrewshire. We also have a satellite office in Maybole thus permitting us to be in easy travel distance to any location in North Lanarkshire, South Lanarkshire as well as Ayrshire and Dumfries & Galloway. As the name suggests, the whole of Scotland is our playground. For the right opportunity we would consider further travel including the whole of the UK and internationally. Our insurance covers our operations for most of the globe.